Catch John at these times and places! 7-10 p.m. - Spotted Cat with Ben Polcer and the Orleans 6. 10 pm.- 1:00 a.m. with St. Louis Slim and the Frenchmen St. Jug Band. 9pm - 1 am. - at Melange Restaurant and the Speakeasy Bar, 2106 CHARTRES STREET. Every Saturday 6:00 - 10:00 in the Lobby Cocktail Bar. 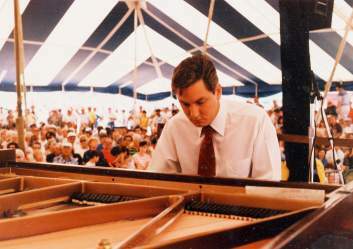 John was honored by New Orleans Magazine as their 2008 Jazz All-Star piano player for traditional jazz. 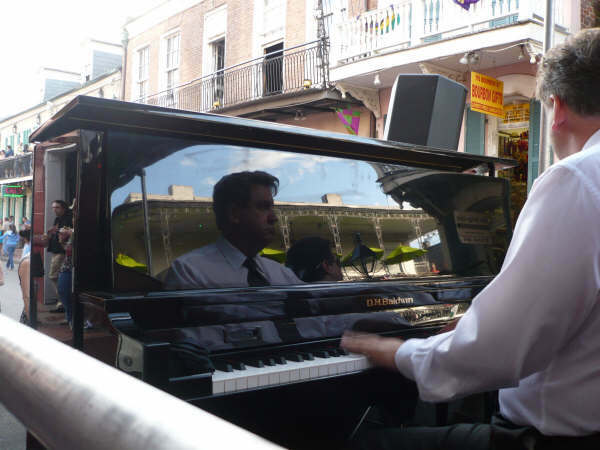 This was the 18th annual awards ceremony recognizing the best of New Orleans' musicians.